UK construction firms experienced another difficult month overall in May, with output growth easing to its weakest for almost three years and incoming new work declining for the first time since April 2013. Survey respondents noted a general slowdown in market conditions and delays to client decision-making ahead of the EU referendum. However, there were signs that construction companies remain relatively upbeat about the growth outlook, with more than half of the survey panel (51%) expecting a rise in output over the next 12 months and only one-in-seven (14%) anticipating a fall. As a result, job creation picked up in May and reached a four-month high. 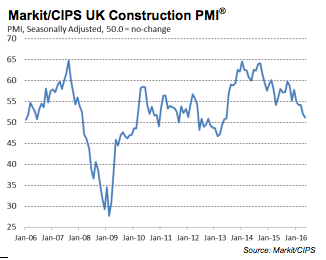 The seasonally adjusted Markit/CIPS UK Construction Purchasing Managers’ Index (PMI) posted 51.2 in May, down from 52.0 in April and only slightly above the critical 50.0 no-change mark. The latest reading signalled the weakest overall rise in business activity for almost three years. All three broad areas of construction activity were stuck in a low gear during May. Residential building work increased at one of the weakest rates seen since early-2013, while growth of commercial activity was the slowest for nearly three years. Civil engineering stagnated in May, which made it the worst performing sub-category of activity for the second month running. May data signalled an outright reduction in new order volumes for the first time since April 2013. Anecdotal evidence pointed to a general lack of client confidence, driven by heightened uncertainty about the economic outlook. Moreover, a number of firms noted reluctance among clients to place orders and commence contracts until after the EU referendum. 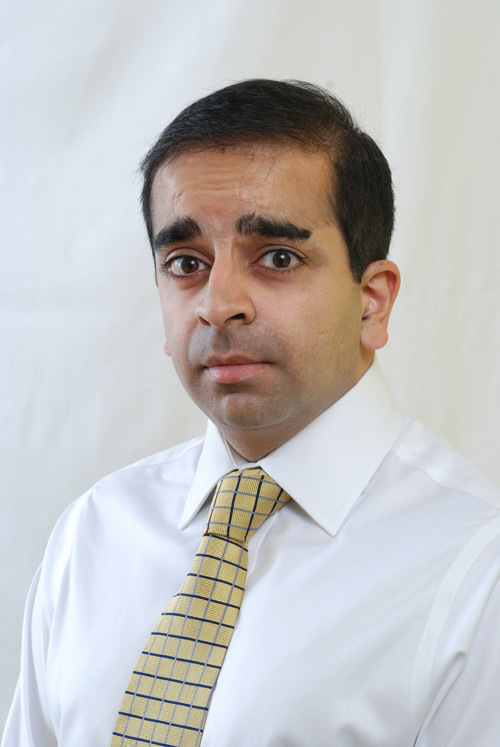 According to a special question added to the survey this month, around one-third of respondents have seen a detrimental impact on their business from uncertainty regarding the forthcoming vote. Looking ahead, UK construction firms are upbeat overall about the year-ahead outlook, with just over half of the survey panel forecasting a rise in output. The degree of optimism was up fractionally since April, but still at one of the lowest levels seen over the past three years. Survey respondents linked this to heightened economic uncertainty and concern that ‘softer’ market conditions will persist into the second half of 2016 (especially in the housing sector). David Noble, group chief executive officer at the Chartered Institute of Procurement & Supply, said: “The sector appeared to have taken residence in a waiting room of non-activity, as continuing poor global economic conditions and uncertainty around the EU referendum impacted growth and new orders. “Supplier performance degraded and continued its downwards trend which began in September 2010. Purchasing activity ground to a virtual standstill. Next articleLondon calling all PIGS!